Updated Tuesday December 20, 2016 by Lovejoy Leopards Lacrosse. 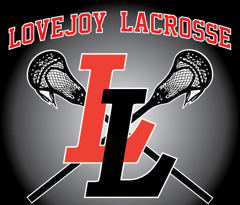 The Lovejoy Lacrosse Club is a 501(c)(3) tax exempt, non-profit organization under the Internal Revenue Code. Thus, Lovejoy Lacrosse can accept tax deductible contributions from individuals and businesses. Lovejoy Lacrosse invites you to make either a financial contribution or an in-kind donation. We will provide a receipt for any donation made to our club. Your generosity is always appreciated and goes a long way to help us achieve our mission. One hundred percent of the donations made to Lovejoy Lacrosse go to support all of our teams and are used to supplement the high cost related to operating, improving, and expanding our program and services. Donations are used to help purchase player and field equipment, pay for facilities and field rentals and to generally keep down the ever increasing costs of running our program. If you would like to make a charitable contribution to the Lovejoy Lacrosse Club, please complete the donation form (attached below) and send the completed form to us along with your donation to the Lovejoy Lacrosse Club. If you wish for your donation to be used for a specific team, please indicate this on the donation form.